Contrary to conventional wisdom, the neighbors are finding ways to make it work. US President Donald Trump and Mexican President Enrique Pena Nieto hold a meeting on the sidelines of the G20 Summit in Hamburg, Germany, on July 7, 2017. 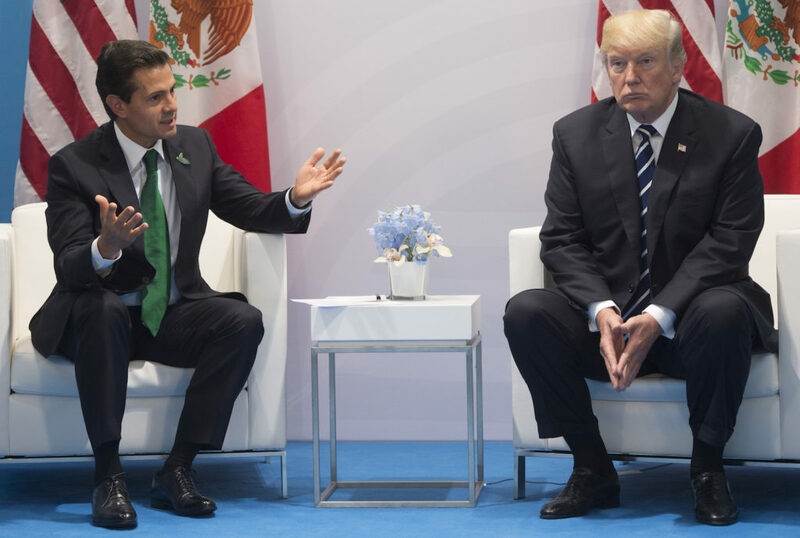 President Donald Trump has incurred criticism for what many have charged is his systematic undermining of the U.S. relationship with Mexico, one of the most important the United States has with any country. During the 2016 U.S. presidential campaign and through his first year in office, Trump repeatedly singled out Mexico for taking unfair advantage of the United States under the North American Free Trade Agreement (NAFTA) and failing to adequately police its side of the U.S.-Mexico border to prevent drugs and criminals from entering the United States and pledged that Mexico will pay for the construction of his proposed border wall. More recently, tentative plans for Mexican President Enrique Peña Nieto to make his first trip to Washington to meet with Trump were canceled following what the Washington Post referred to as a “testy” telephone conversation between the two, in which Trump refused Peña Nieto’s request to recognize that Mexico will not pay for the construction of the wall on the U.S.-Mexico border. Negotiators will continue informal talks over the next few weeks before an eighth round, likely in April. 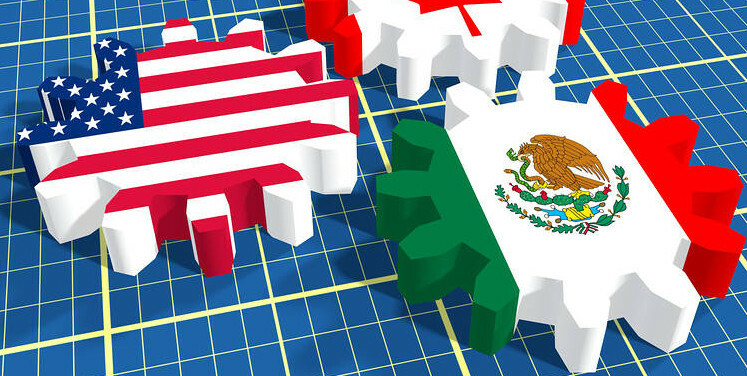 The road to NAFTA 2.0 remains challenging, as some of the most contentious issues have yet to be addressed, while negotiators have to work around both countries’ electoral calendars (the Mexican presidential elections in July, the U.S. mid-terms in November). The process may not be very sentimental or for the genteel, but the bottom line is negotiations are continuing. Venezuela and regional cooperation. A key objective of U.S. policy toward Venezuela since President George W. Bush’s administration has been to encourage other Latin American governments to step up in supporting democracy and human rights. Over the past year, Mexico has responded, in doing so jettisoning what is known as the Estrada Doctrine — a pillar of Mexican foreign policy for decades that advocates nonintervention in other country’s affairs. Mexico has not only joined the United States in sanctioning members of the authoritarian government of Nicolás Maduro in Venezuela but has led the diplomatic charge at the Organization of American States and the Lima Group to hold Maduro accountable for his anti-democratic behavior. 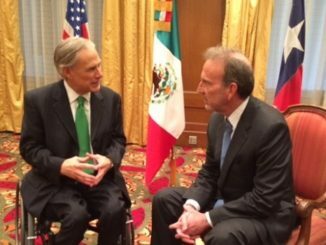 Mexico has also continued its support of broader U.S. efforts on stability in Latin America. In June 2017, Mexico co-hosted with the United States a security conference in Miami promoting prosperity and security in Central America. Of course, there are important variables still at play that will affect U.S.-Mexico relations into the foreseeable future, such as the fate of NAFTA negotiations and the construction of a border wall. Just as important will be the direction Mexican voters choose for their country in the presidential election in July. The leading contender is a left-wing populist, Andrés Manuel López Obrador, who has benefited most from widespread popular dissatisfaction in Mexico with jobs, public security, and corruption. Many predict a López Obrador presidency would mean a distancing of Mexico from its close economic and security cooperation relationship with the United States. But that is still in the future and has nothing to do with the U.S. presidency. All this is to say U.S.-Mexico relations remain strong and have proved durable because of the simple fact that both countries have significant interests in maintaining a productive relationship. Neighbors that share a nearly 2,000-mile border and trade $1.5 billion in goods and services every day will in the end find a way to make things work. Jose R. Cardenas has been working on inter-American relations in Washington for nearly three decades. During the George W. Bush administration, he served in senior positions at the State Department, the National Security Council, and the US Agency for International Development. He is also a former senior staff member for the Senate Foreign Relations Committee.